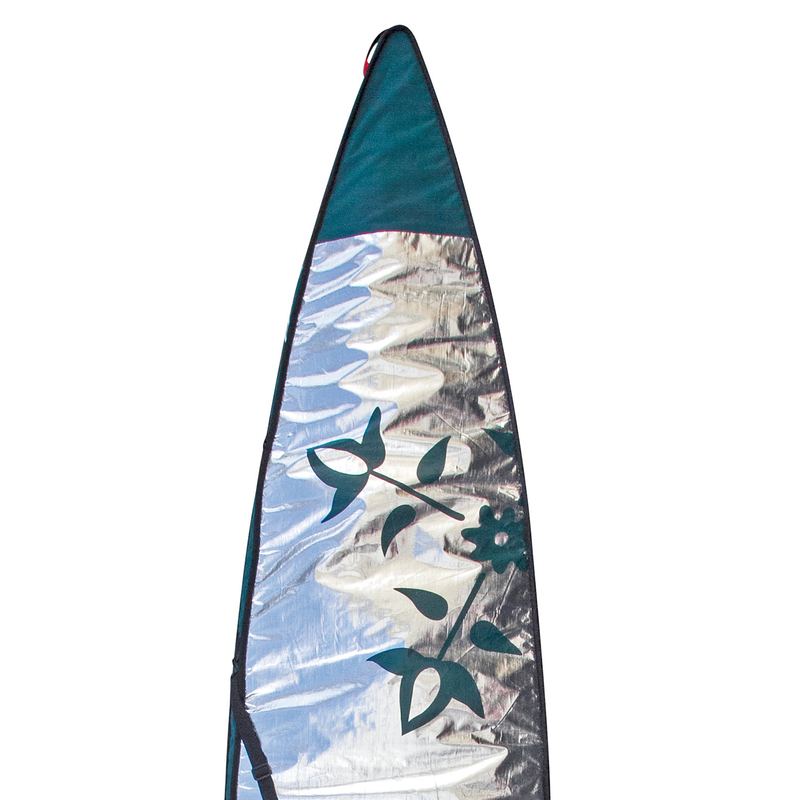 New heavy duty SUP Board Bags to carry and protect your touring or race board. 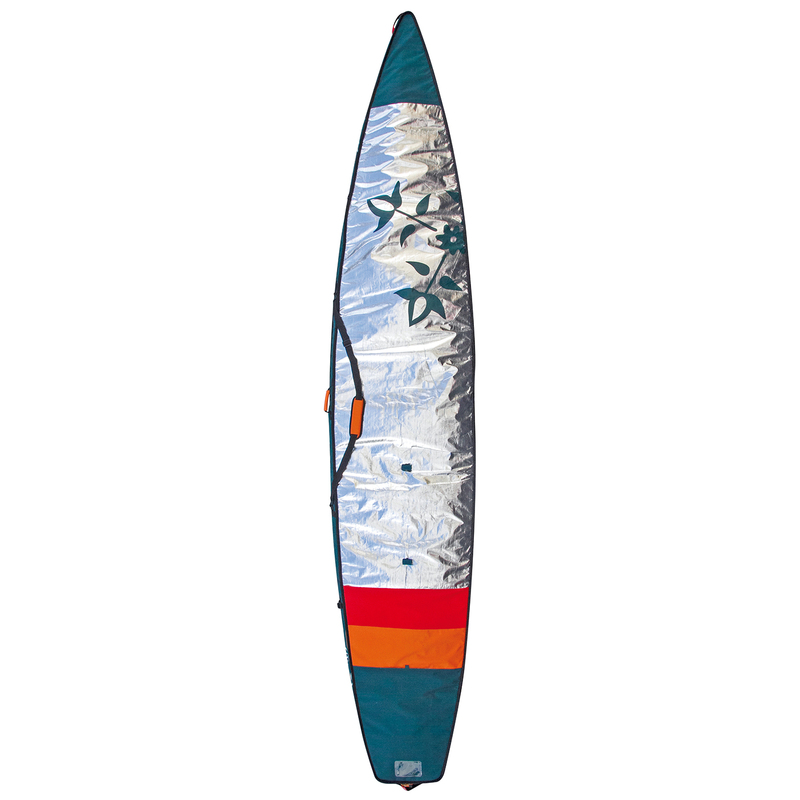 A reflective outer material that reflects the sunlight, keeping the board cooler. Protects your board from debris, fading due to sun exposure and also overheating. Store extra fins, leashes etc. in the included storage pocket. A shoulder carry strap makes it easy to transport and the bag protects your board for air travel. The durable neon orange loops at each end offer tie down points for a nose and tail line and provide higher visibility for when the board overhangs the front or back of your car.